Barbara was raised in Columbus. She graduated, with honors from Moritz College of Law at The Ohio State University. 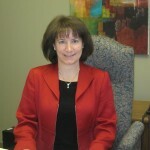 Barbara began her career working as a hearing officer with the Industrial Commission of Ohio. For over two decades she has dedicated her practice to solely representing the injured worker and fighting for your rights. You will find Barbara regularly listed in Ohio Super Lawyers, Top Lawyers, America’s Most Honored Professionals and Best Lawyers in America. She is a member of the Columbus Bar Association and The Ohio State Bar Association.